Used 2015 Honda CBR650F for Sale in Charlotte NC 28213 Carolina Rent A Car, Inc. 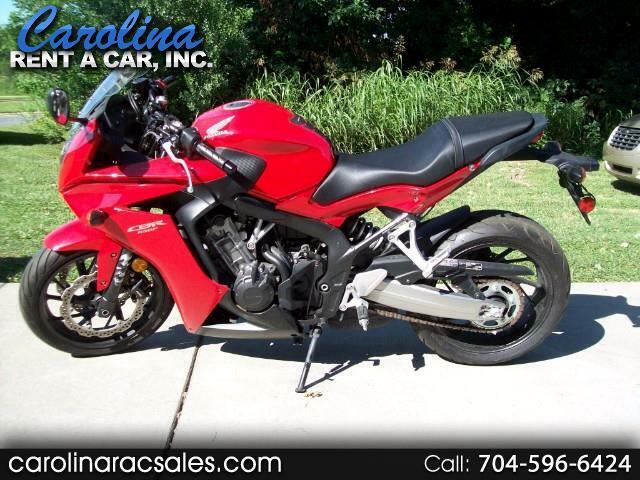 This is a very nice super low mileage CBR-650F located in Charlotte, NC. This bike had a MSRP of $8,499 new and you can save lots of money now. This bike was recently inspected and ready for the road. Call John at 704-596-6424 to schedule a test drive. Clutch:	Wet, multiple discs. Mechanical, cable-actuated. Message: Thought you might be interested in this 2015 Honda CBR650F.